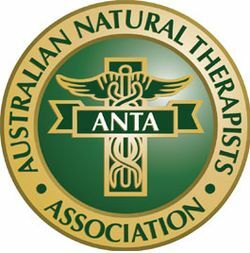 The Australian Natural Therapists Association Ltd (ANTA), established in 1955 is the largest multi modality national democratic association of professional Natural and Traditional Therapists. For over 60 years the ANTA name has been synonymous with “Quality” and “Peak Body of the Profession”. ANTA is committed to Quality Assurance and Public Safety by maintaining the highest Qualification and Ethical Standards. As a democratic professional association ANTA is governed by a Constitution and a Code of Professional Ethics. Members can attend and vote at ANTA general meetings and elect representatives on National Council (Board of Directors). ANTA is an organisation listed in schedule one of the regulations of the Therapeutics Goods Act 1989. ANTA is a quality organisation and aims to deliver quality service at all times. ANTA’s mission is for Natural and Traditional Therapists to uphold and advance their standing within the community and to provide the public with best practice health care in all disciplines in Natural and Traditional Therapies. ANTA Supports Statutory Registration of Natural Therapists. “ANTA is a professional association that has uniform national registration requirements for practitioners of traditional medicine and natural therapies. Consequently practitioners who are members of ANTA will be considered to be recognised professionals for the purposes of paragraph 38-10(1)(b) of the GST Act”. One Membership Fee Covers all Modalities. ANTA Members are able to supply GST-Free services in accordance with the “GST Act” and in particular Section 38-10 (1) (B) of the “GST Act”. ANTA sets high standards and demanding codes of practice for members and places strong emphasis on improving knowledge and skills. Graduates and practitioners who join ANTA are assured the considerable time, effort, money and dedication invested in their qualification and training is respected and maintained by ANTA. To protect your investment, ANTA maintains a consistent, rigorous course assessment and recognition program that ensures that only courses that deliver quality education and training are recognised by ANTA. ANTA does not have grandparenting programs and only graduates and practitioners who have completed the high standard courses recognised by ANTA are eligible to join ANTA. Because of the high educational standards maintained by ANTA, it is reassuring to know that the considerable time, effort, money and dedication you have invested in your training and future is not devalued or compromised when you join ANTA. ANTA recognises the requirements of specialist modality practitioners and modalities are represented by an ANTA Director. ANTA organises regular high quality national seminars with free admission for ANTA Members and Student Members. ANTA has CPE guidelines and programs that enable members to complete a minimum of 20 hours CPE per annum. ANTA Mobile App for Apple and Android devices. ANTA members are regarded as the benchmark in Natural and Traditional Therapies and as a result ANTA members are recognised nationally by over 50 Health Funds/WorkCover Authorities. Note: ANTA members are recognised by MEDIBANK PRIVATE for Acupunture. ANTA members are required to have a current Senior (or Level 2) First Aid qualification. This requirement assists ANTA members in receiving extensive recognition by Health Funds and WorkCover authorities. As a peak body representing the pinnacle of the profession, ANTA is represented and involved with all levels of Federal and State government. The ANTA National Administration Office is staffed by a team of full-time staff and support and assistance is available to all ANTA Members during business hours Monday to Friday. Arthur J Gallagher Insurance Brokers Pty Ltd have been appointed the preferred supplier of Insurance for ANTA members. ANTA members are eligible to apply to participate in the AJG/ANTA Insurance facility with policies and premiums specifically developed to cover ANTA members for Professional Risks, Products Liability and General Public Liability. AJG Insurance Brokers Pty Ltd - 1800 222 012. “The Natural Therapist” is published and mailed to members quarterly. ANTA members are encouraged to submit articles for the publication. Notice board information and Classified Advertisements are available to members at no cost. The ANTA website contains a vast amount of information about ANTA, ANTA Members and Natural and Traditional Therapies for the public, practitioners and members. There is a Members Centre which contains a large amount of information & services that members can access online. You will need to contact the National Administration Office to obtain your individual password to access the Members Centre. The ANTA website is updated regularly and the latest news & information is at member’s fingertips. WANT YOUR OWN FREE WEBPAGE? Take advantage of the opportunity to promote your practice on the ANTA website and setup your free webpage. The ANTA website receives more than 2 Million hits each year. Now that’s a huge market in any ones language! The ANTA Website has the facility for members to develop their own webpage (on the ANTA website). ANTA members can set up their own webpage online by entering the Members Centre on the ANTA website. Members pay no set up costs or renewal fees whatsoever to have their own webpage. ANTA actively promotes and advertises the Association, ANTA members, practitioner referral freecall number, website and ANTA activities on a national basis using mediums such as Health and Lifestyle publications, Exhibitions and Promotions. Available in the Members Centre of the ANTA website. Free to all Members. eMIMS provides its comprehensive and trusted medicines information in a wide variety of formats that enable the busy healthcare professional to access the right information at the right time and in the most appropriate way. eMIMS gives you the latest information in a consistent, familiar format that is easy to use and gives you confidence and peace of mind when prescribing, dispensing or administering medications. ANTA members recieve free medical advice with professional indemnity insurer Arthur J Gallagher. As a National association representing practitioners at the pinnacle of the profession ANTA is frequently called upon to comment on Natural and Traditional Therapies and public health issues. A range of ANTA stationery is available to ANTA members at cost price. On the ANTA website there is a range of colour brochure templates covering all modalities that members can download and customise to suit their practice for FREE. Regular newsletters are sent to members to ensure members are kept up-to-date with developments and news. To enable members to receive information quickly on matters relating to the profession, ANTA members can subscribe to a free service called ANTA e-News. ANTA Members who subscribe to ANTA e-News will receive information directly from ANTA by email. The type of information that members can receive by email will include newsletters, media releases, latest government news, CPE notices, reports, health fund info etc. ANTA e-News is only available to ANTA members and your email address will be kept confidential and secure, together with your membership information, on the ANTA Membership database. Each year ANTA provides 12 Bursary Awards of $1000 each to students, graduates and practitioners who are undertaking further study. All students, graduates and practitioners who are studying are eligible to apply for an ANTA National Bursary Award of $1000. Persons wishing to discuss with ANTA any matters relevant to the professions of traditional medicine and natural therapies should contact the Australian Natural Therapists Association Limited on free-call: 1800 817 577.